Unicef’s research shows that the global maternal mortality rate, the rate of deaths resulting from complications from pregnancy or childbirth, has declined by 44% between 1990 and 2015, and yet the maternal mortality rate in the United States has increased. 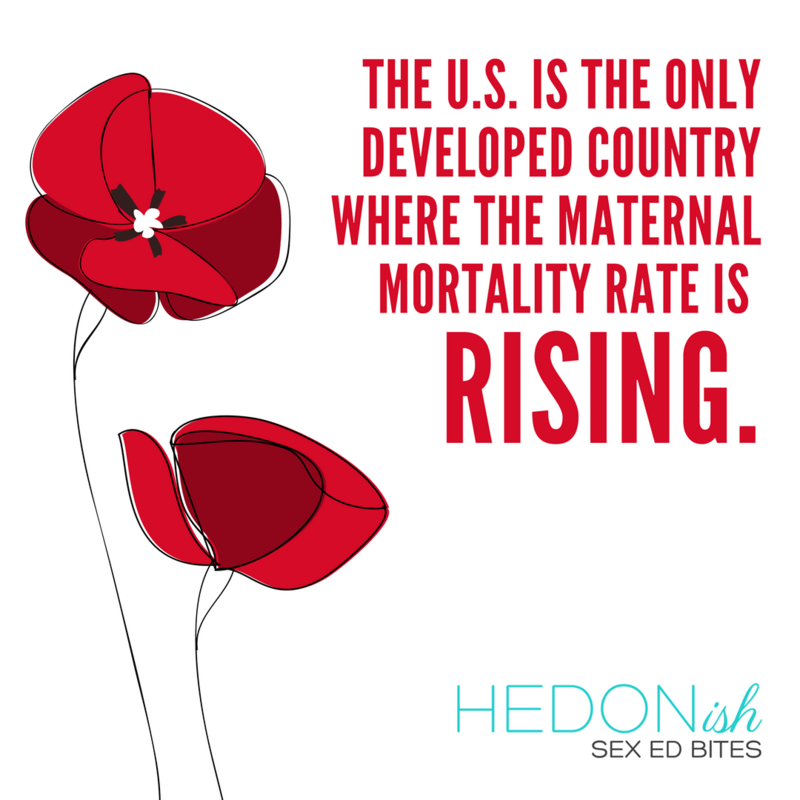 In fact, the US is the only developed country in the world who’s maternal mortality rate is increasing, and according to data from the Institute of Health Metrics and Evaluation, it’s likely going to continue to rise. While the CDC reports that the infant mortality rate in the US is at a record low, and in other developed countries like Great Britain “a man is more likely to die while his partner is pregnant than she is,” American women are 3 times more likely to die in the maternal period¹ than a Canadian women and 6 times more likely to die than a Scandinavian. The rise in maternal deaths is likely caused by multiple factors, but the gist of it seems to be that the increased focus on fetal and infant health has left an inadequate amount of attention left on the health of the mother. For example, ProPublica’s article on this issue points out that in the last decade 20 hospitals have created multidisciplinary fetal care centers, but only 1 hospital has a similar program for high-risk pregnant women. Additionally, federal and state-funded block grants supporting maternal and child health only devoted 6% of the funding to programs designed for the mother, and doctor’s being trained in maternal-fetal medicine focus so heavily on the care of the fetus that they don’t need to train in how to care for the mother’s giving birth. ¹ The CDC defines the “maternal period” as the start of pregnancy until one year after giving birth or termination of the pregnancy.